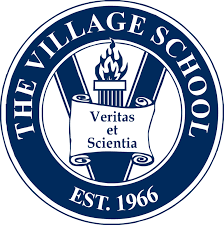 The Village School was founded in 1966. What started as a small, private nursery school is now a vibrant campus of approximately 1,750 students, from early childhood through high school. Our school initially served 100 students, aged three through five. In 1973, Betty Moore acquired the school and set forth the school’s original mission to “foster excellence through knowledge, character, and integrity,” a guiding legacy that continues to shape the school’s culture of champions. In 1981, The Village School outgrew its facility and moved to a larger campus on Memorial Drive. By 1983, the program included students from preschool through fourth grade and relocated to our current campus on Westella Drive. In 1984, the first of three new buildings opened, providing space for 25 classrooms, a gymnasium, a stage, a computer room, a music room and a library. The Village School continued to expand throughout the 1990s, adding grade seven in 1991 and graduating its first 8th grade class in 1993. In 2008, The Village School opened its high school program, with more than 50 founding 9th graders. With each subsequent year, an additional grade was added, with the first senior class graduating in 2012. Today, The Village School inhabits over 28 acres in a residential area of West Houston. The campus consists of more than 165,000 square feet of facilities. In addition, the school has plans to expand the campus with an additional 15 acres of land. Our community of students from over 60 nations shares a commitment to uncommonly high levels of achievement. Our dedicated and caring faculty and staff continue to prepare students for future success at the most prestigious colleges and universities throughout the world. We are fully accredited by the Texas Association of Accredited Private Schools (TAAPS) and the International Baccalaureate Organization (IBO). Village High School is an official International Baccalaureate World School offering the IB Diploma Programme.